This creative partnership between Sony Music and Massey also includes new artist management and music publishing joint venture. Sony Music Entertainment CEO Rob Stringer has announced the relaunch of Arista Records under the leadership of highly regarded music industry executive David Massey. The legendary label will become an all new frontline creative center within Sony Music led by Massey who will serve as President and CEO of Arista. Massey is based in New York and reports directly to Stringer. Massey’s leadership of Arista is part of a new broad-based creative partnership between the hitmaker and Sony Music. In addition, Sony Music and Massey have entered into a new joint venture for Massey-led artist management and music publishing businesses. “I want to thank Rob Stringer for the phenomenal opportunity to return to Sony Music in an expansive new partnership and lead the next chapter of Arista Records. 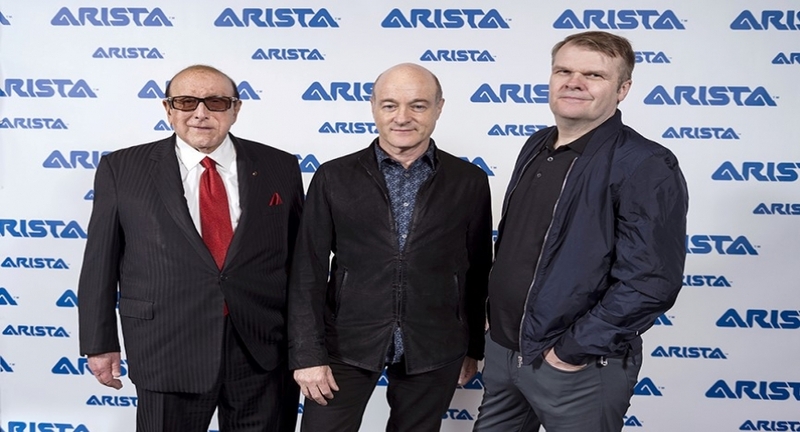 Clive Davis made the Arista name synonymous with tremendous creativity and great songs, and I look forward to continuing that identity by working with the many talented people at Sony to build a new roster of hit artists. I am also excited to join forces with Sony to drive additional growth through artist management and music publishing,” stated Massey. Founded by Clive Davis in 1974, Arista Records is among the most storied labels in the history of the recorded music business and previously served as the home to numerous iconic artists, including Whitney Houston, The Kinks, Patti Smith, the Grateful Dead, Carlos Santana, Barry Manilow, and Aretha Franklin.